Driving on Baxter Street can be a terrifying experience. It’s arguably one of the steepest residential city streets around, but on the plus side, it probably keeps unwanted traffic to a minimum. That’s great considering some of the lovely homes found off it, including this one here. 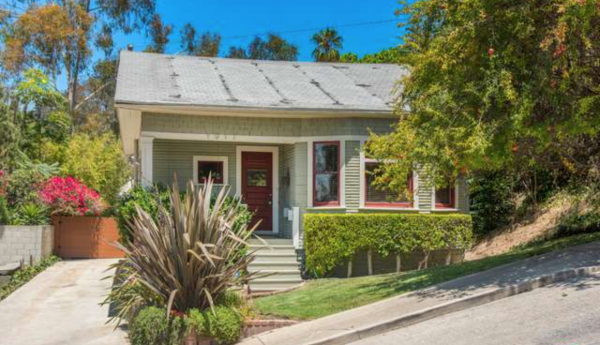 Built in 1910, yet moved to its current location in 1952 this 1,260 square foot California bungalow features 2 bedrooms, 1 bath, and a surprisingly robust backyard all for an asking price of $799,000. 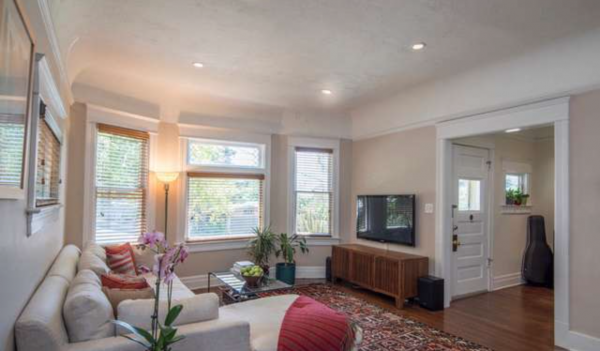 Inside you’ll find 10′ high ceilings, hardwood flooring throughout, and a well-balanced mix of old world charm, with modern amenities like central AC/Heat, built-ins and recessed lighting. 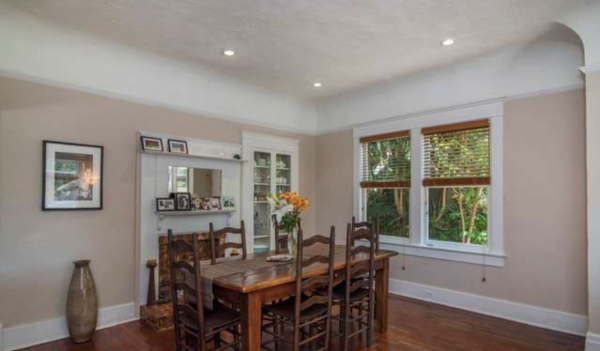 The dining area is a lovely space that even includes an oddly placed decorative fireplace. Subjectively, if any room is in need of an update, it would be the kitchen. 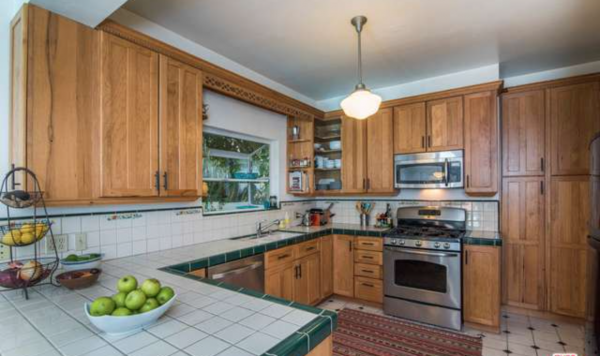 While the space is nice, and the stainless steel appliances are nice, the 80’s are screaming to have their tile countertops back. As master bedrooms go in small homes like this, this one is particularly large. 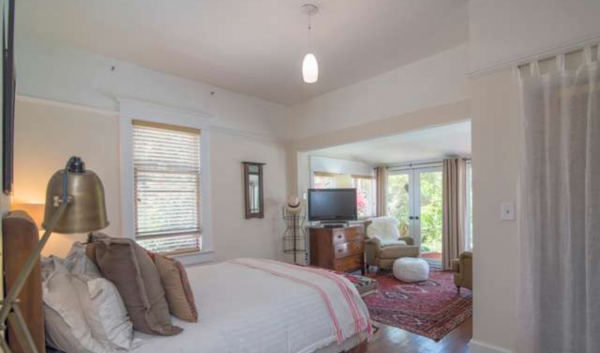 And while it may not offer an en-suit bathroom, it does have a lovely den area with private doors leading out back. 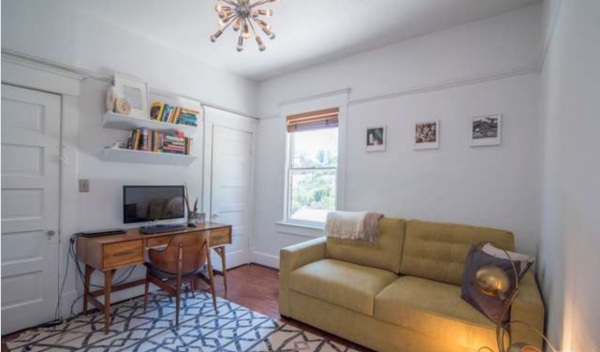 The second bedroom offers period doors, nice floors and a pretty funky fixture. Nothing particularly remarkable about the bathroom. 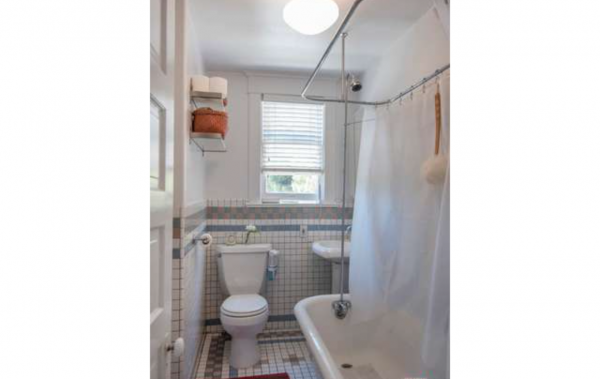 While the tiles are rather busy, I always do appreciate an old school tub and pedestal sink like that. 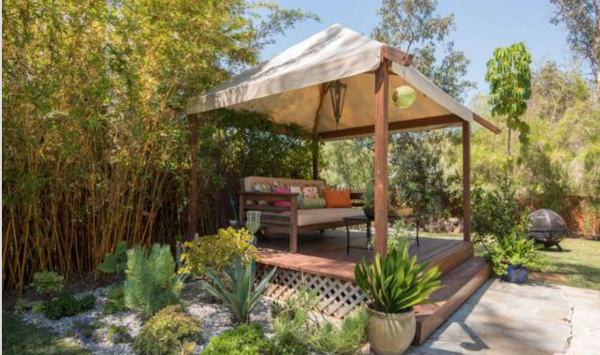 Out back you’ll find a gorgeous deck leading to a pool and spa, along with a well landscaped yard with fruit trees, and an idyllic cabana. 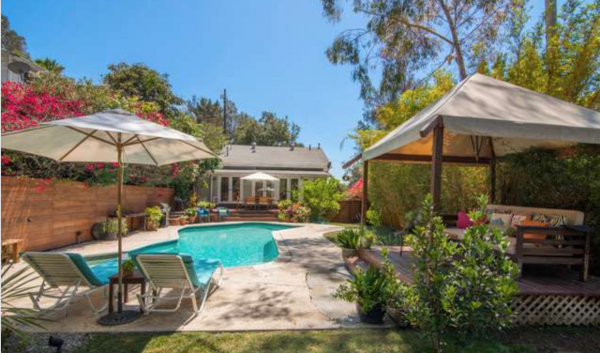 Steve Sanders of John Aaroe Group has the listing.